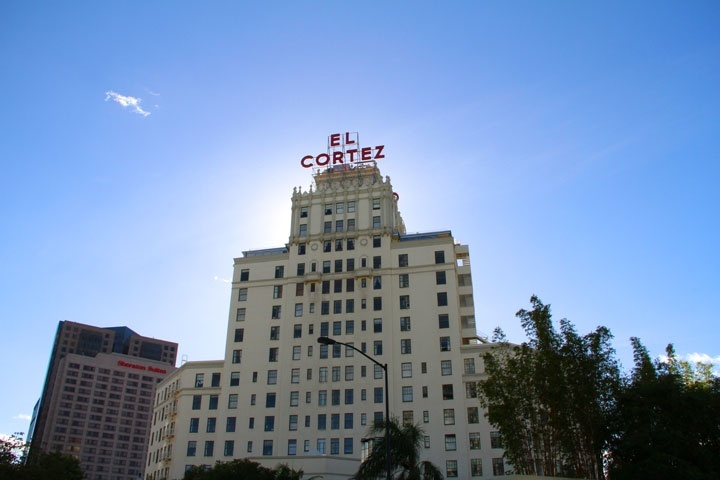 El Cortez condos are located at 702 Ash Street in San Diego in the historic El Cortez building. If you are looking for a historic condo in the downtown Cortez District of San Diego with great views then El Cortez may be a good choice. Built in 1927 with charm and elegance the Cortez Blu is a downtown San Diego landmark. Homeowners association dues run $690.00 a month for a prime location well situated building at the top of the Cortez District. Below are the current El Cortez downtown San Diego condos for sale and for lease. Please contact us at 1-888-990-7111 with questions regarding this building and any of the condos listed for sale here.